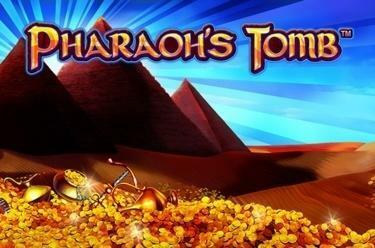 Play Pharaoh’s Tomb™ online for free now! Open the door to the burial chamber of the Pharaoh! 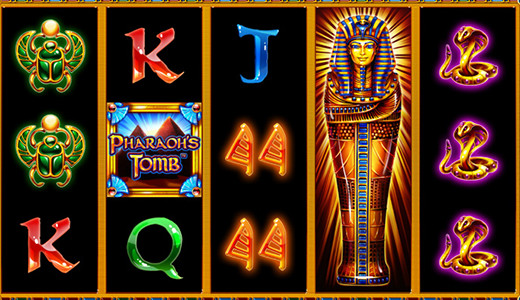 At Pharaoh’s Tomb™ you are the Raider of the Lost Ark and will explore every dark corner of our slot! Collect mysterious relics on 5 reels and 10 win lines and fill your pockets with Twists: The golden sarcophagus will help you complete the puzzling characters. If you can open the sarcophagus in the feature game unique winning chances and never-ending Twist supplies are waiting for you! Can you land 5 matching symbols along a win line? Then you are one of those guys who can look forward to a huge win. Pay attention to the win lines, which run from left to right along the reels - your aim is to land several matching symbols along the win line. Your winning combinations have to start on the first reel on the left and run along the win line to the right without being interrupted. 3 or more Scatter symbols (with the writing Pharaoh’s Tomb™) in any position trigger 12 Free Games, which will automatically use the settings from your last regular game. The 'WILD' symbol in the feature game opens the sarcophagus and the most valuable picture symbols of the game (wing, water, serpent, bird and Ank) will appear arranged according to their value. The symbol with the lowest value will be replaced by the symbol with the next higher value. This will be repeated everytime you land a 'WILD' symbol. 1 to 3 'WILD' symbols or 3 or more Scatter symbols during a Free Spin will also get you more Free Games.